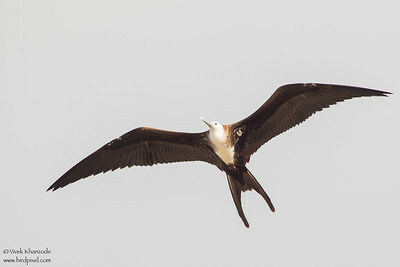 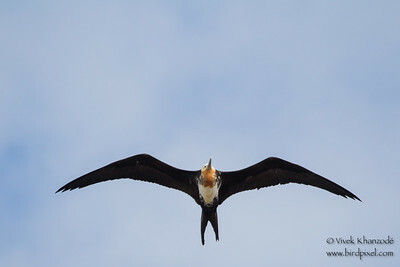 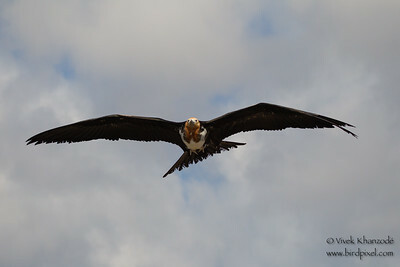 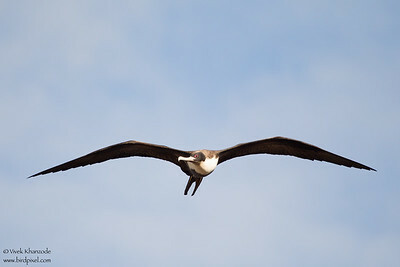 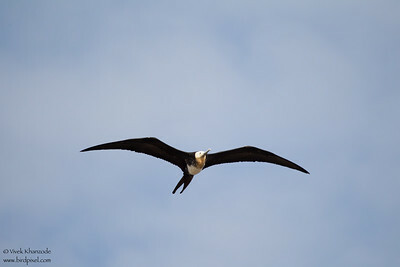 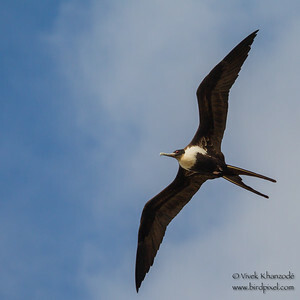 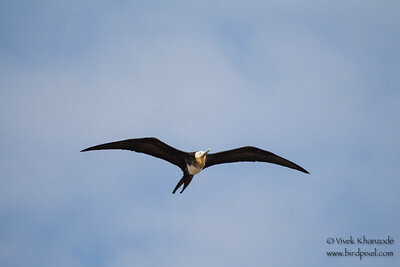 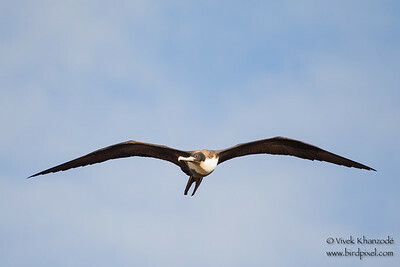 Great Frigatebird - Female in flight photographed at the Darwin Bay, Isla Genovesa, Galapagos, Ecuador. 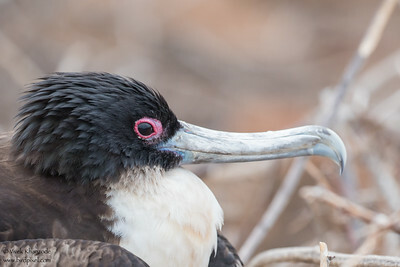 Note the red eyering on the female. 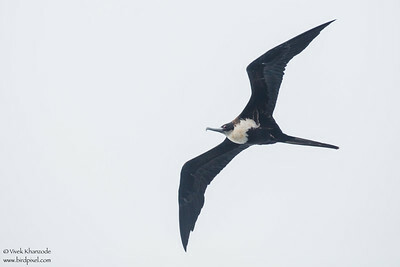 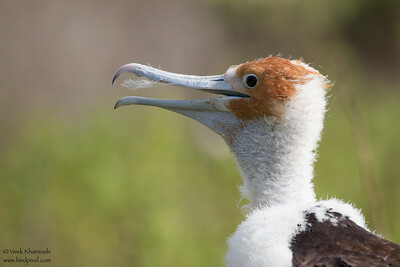 This is the diagnostic field mark to differentiate the females of the Great Frigatebird from the Magnificent Frigatebird. 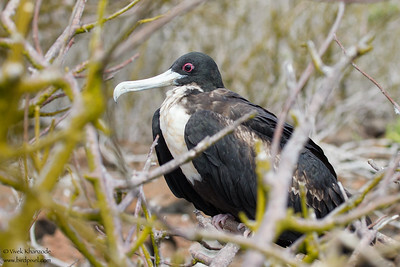 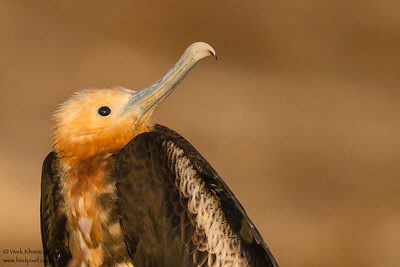 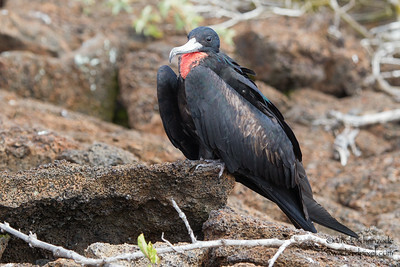 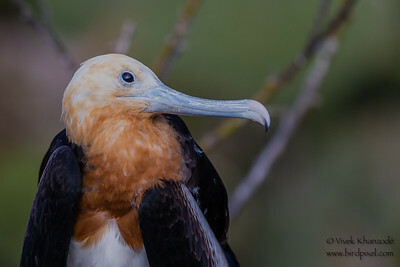 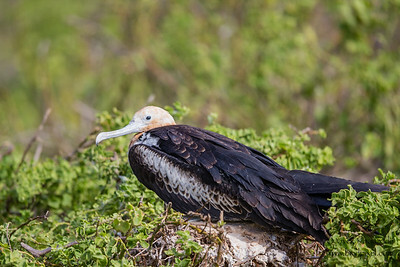 The female Magnificent Frigatebird has a blue eyering. 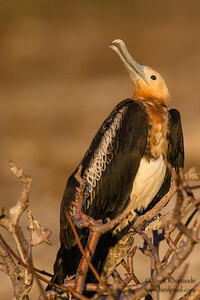 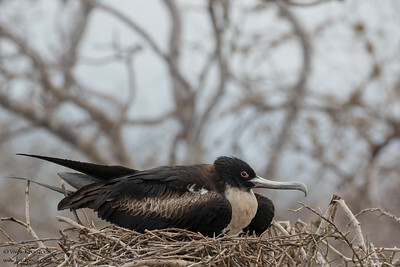 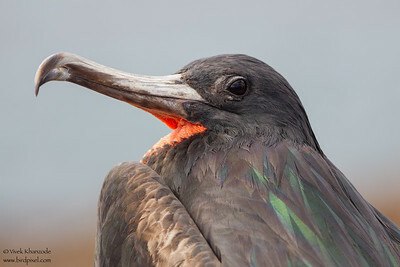 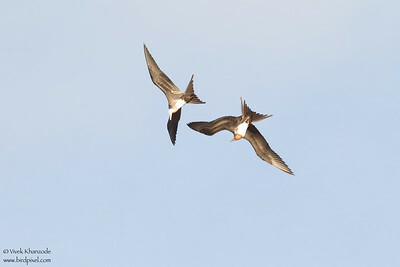 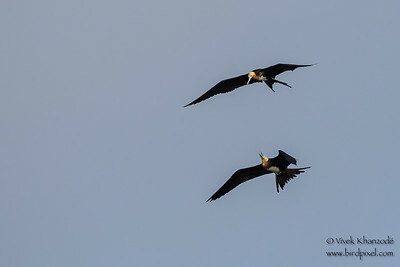 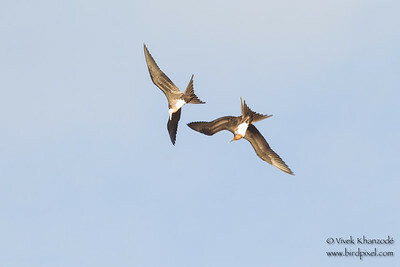 Great Frigatebirds - Male - Darwin Bay, Isla Genovesa, Galapagos, Ecuador. 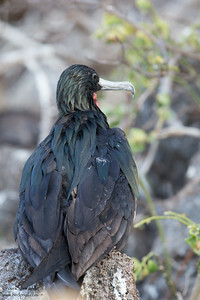 Note the green iridescence on the feathers on the back. Apparently this color is deeper blue in the males of the Magnificent Frigatebird. 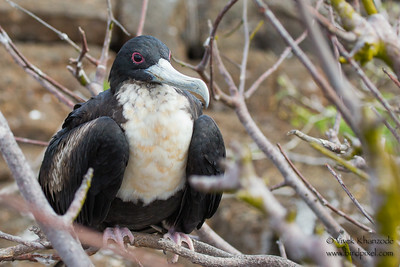 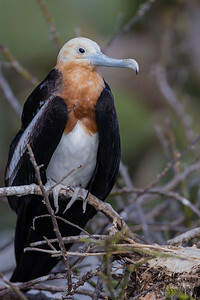 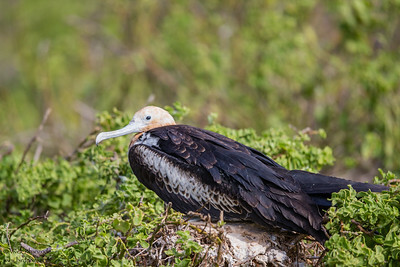 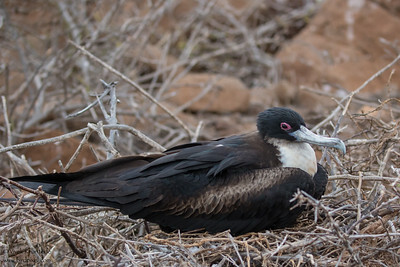 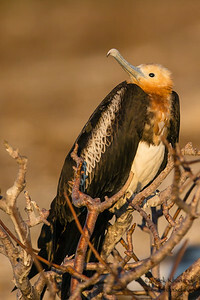 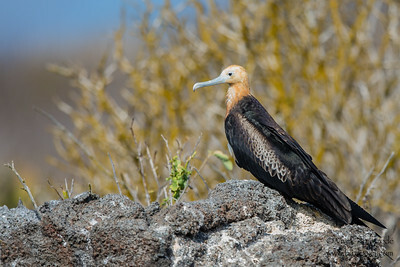 Great Frigatebird - Female - Darwin Bay, Isla Genovesa, Galapagos, Ecuador. 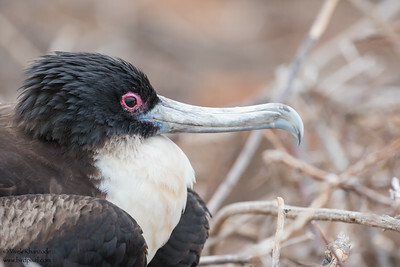 Note the pink eyering. 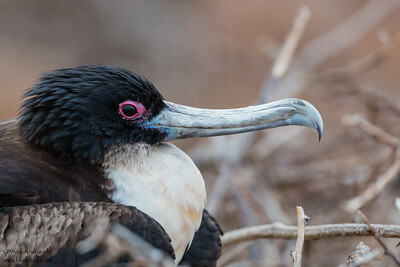 The eyering in the female Magnificent Frigatebirds is blue.